What ever your journey… keep on walking in comfort. Take a step in the right direction by caring for your feet as well as your posture with Phase 4 Orthotics. These insoles are perfect for athletes, seniors or people who are on their feet all day. They are designed to align your body from the feet up. When you're out of alignment, your whole body suffers. Phase4 puts your body back in balance so you can stop suffering from the pain caused by poor alignment. 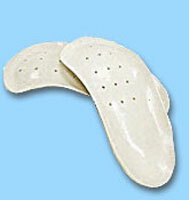 Stop the pain - order Phase 4 Orthotics today.